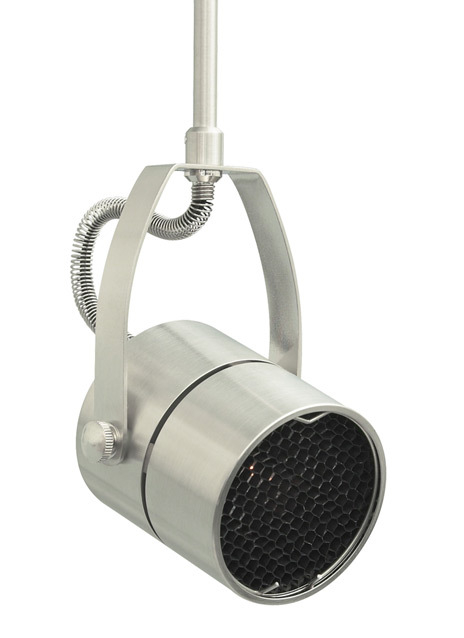 The Spot display head by Tech Lighting is simple in design but extremely functional. The Spot provides light where you need it the most with its 360° rotating head and 290° pivot. Enhance your space all the more by combining the Spot display head with a Tech Lighting free-jack or rail system. This low-voltage display head is ideal for commercial lighting applications such as retail stores, libraries and galleries. Rated for (1) 50 watt max halogen MR16 lamp (not included). Dimmable with low-voltage electronic or magnetic dimmer. Can hold one glass lens or Eggcrate louver (sold separately). Length -- Choose -- 4" 6" 12"